Are you committed to having a future filled with success, making more money and dominating your market? The Summit was specifically created for agents like you who want to learn how to fight the fear of growth, develop increased mental toughness, and create the mindset to achieve the next level of success in business and in life. Don’t wait, get your discounted tickets today before prices increase! 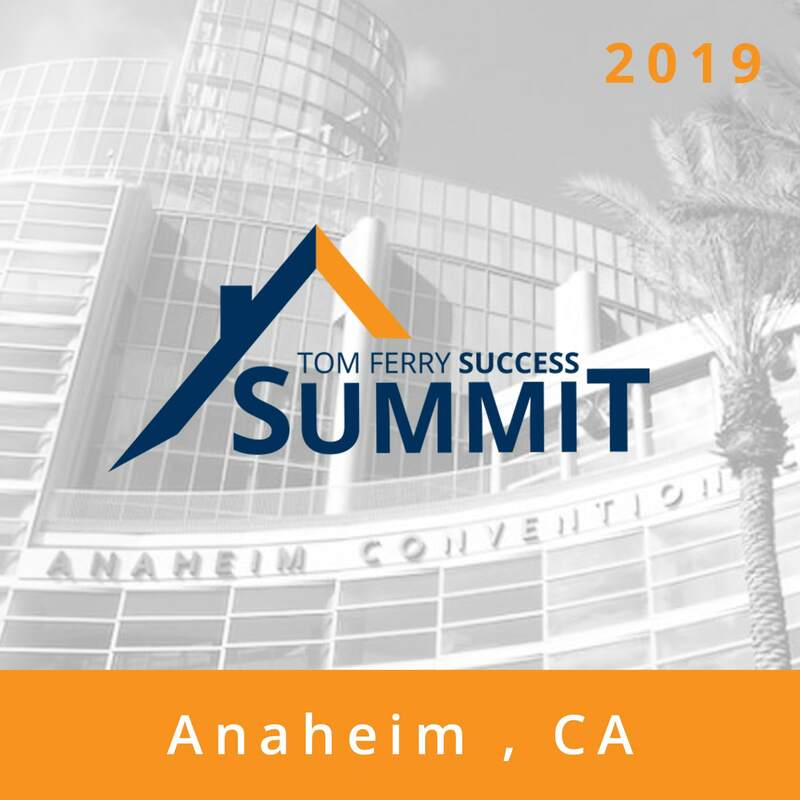 Tom Ferry’s Success Summit is the ultimate real estate training event for successful agents like you who are committed to building and sustaining a profitable career in real estate. Join over 4,000 other top producing agents, from around the world, to network and receive training that will take your business to the next level. The Success Summit will give you the proven sales, marketing and time management techniques needed to attract and convert listings in any market. This is your opportunity to learn from some of the best in the industry, network with other top agents, and get equipped to finally reach that level of success that you truly deserve. Cut off: July 18th, 2019 or until room block sells out, whichever occurs first. Rooms at the group rate are limited and available on a first come, first-served basis. If at the end of the final day, you don’t believe you can use the strategies you learned to increase your business, just turn in your completed workbook onsite to a Tom Ferry employee and a refund may be issued. Refund checks sent out two-weeks after the event. This ticket purchase is non-refundable and non-transferable. Please Note: Your appearance and testimonial at the event may be used for promotional purposes.